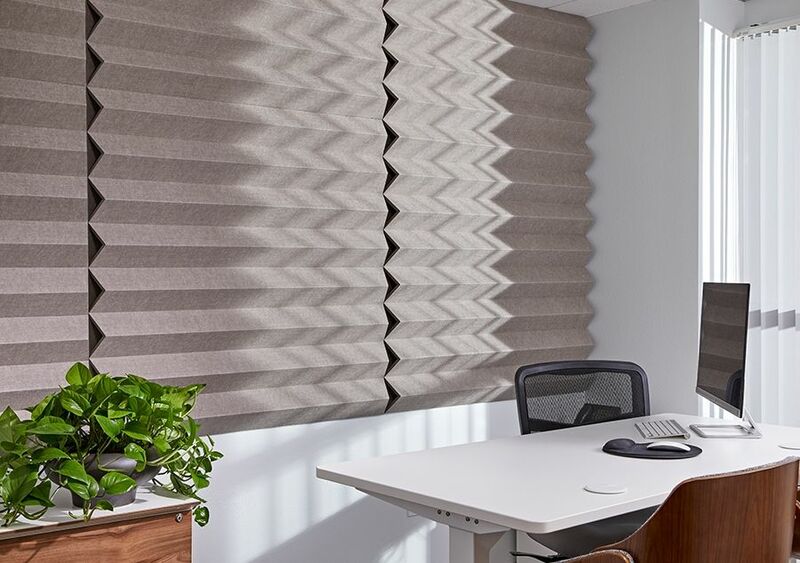 Add acoustic control with the peaks and valleys of EchoRidge! 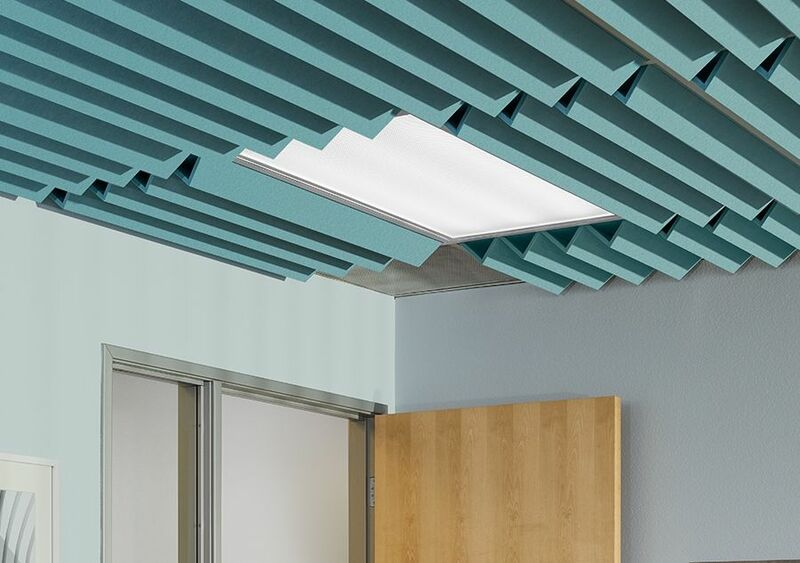 Navigate acoustic obstacles with EchoPanel EchoRidge, the unique dual-layer wall and ceiling tile that helps capture and absorb unwanted sound. EchoRidge comes in two styles - mini and micro- in both 2x2 and 2x4 tile sizes. Also available as a 2x2 or 2x4 ACT tile, EchoRidge is a dynamic design element for any environment. 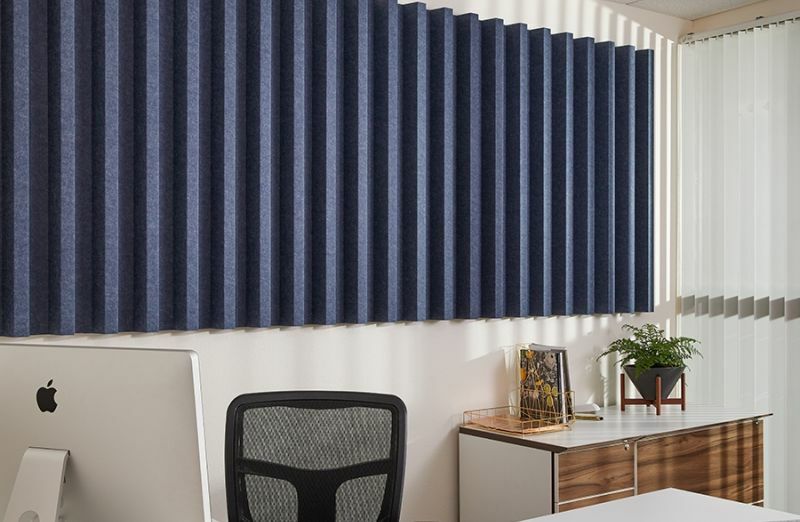 Navigate acoustic obstacles with EchoPanel EchoRidge, the unique dual-layer wall and ceiling tile that helps capture and absorb unwanted sound. EchoRidge comes in two styles - mini and micro - in both 2x2 and 2x4 tile sizes. 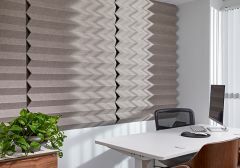 Available in 27 colors, EchoRidge is a dynamic design element for any environment. Have a unique design idea? Customization is also available. 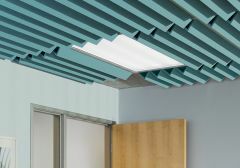 Create acoustic nirvana in any standard drop ceiling with the peaks and valleys of EchoRidge ACT. 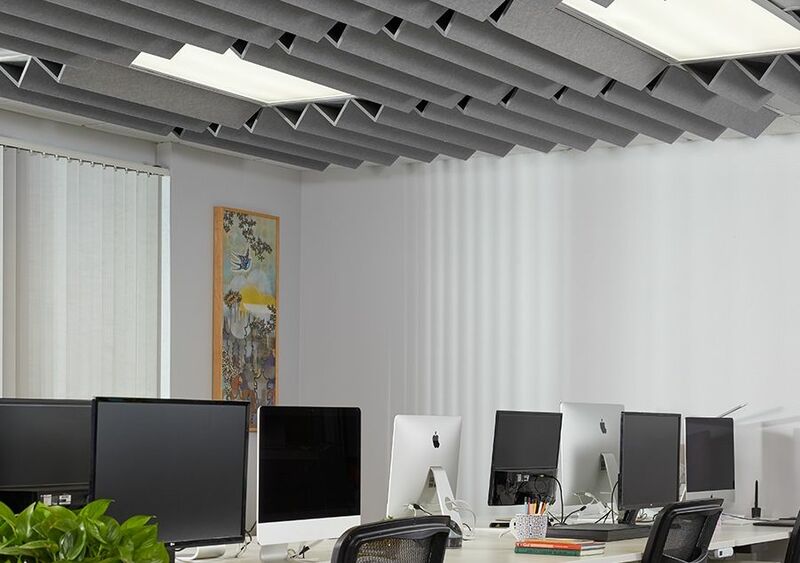 The unique modules easily install into an existing grid, adding both dimension and sound absorption. 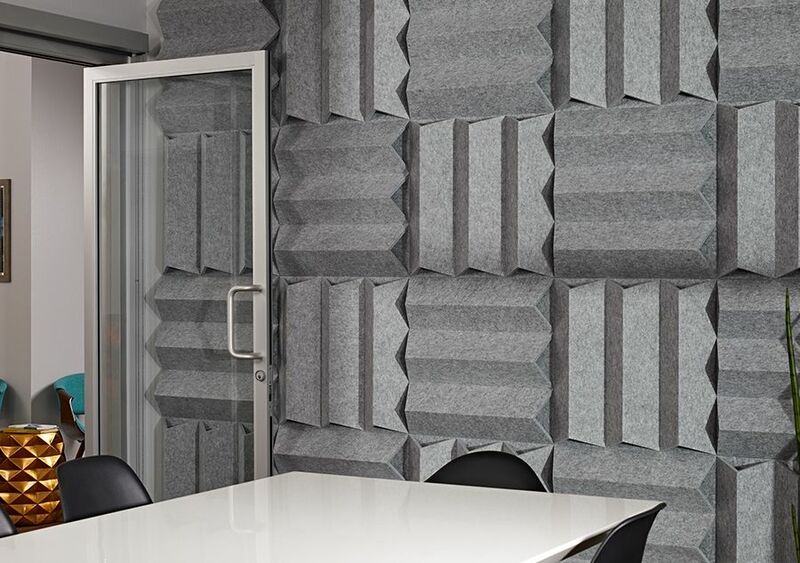 EchoRidge ACT comes in two styles - mini and micro - in both 2x2 and 2x4 tile sizes. 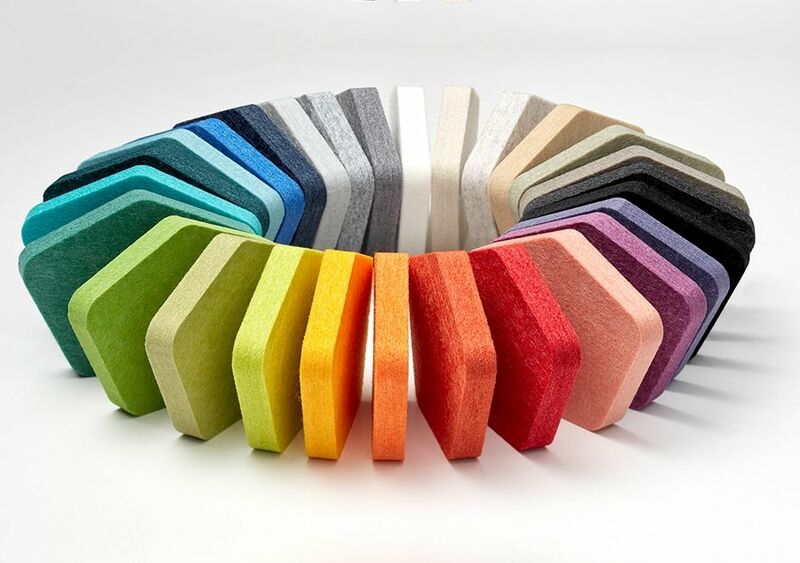 Available in 27 colors, EchoRidge ACT provides design options for any decor from neutral to vibrant. INSTALLATION For Standard EchoRidge: Use standard construction adhesive. Line up adjoining elements prior to attaching. For EchoRidge ACT: Drop tile into T-grid in place of ACT.